June saw two events to celebrate Richard Neville, co-founder of Australian Oz magazine (1963), and London Oz (in 1967). Richard died on 4th September 2016 and a number of his friends including Richard Adams and Tony Elliott put on an event at the Victoria & Albert Museum to celebrate his life. Louise Ferrier and Jim Anderson came over from Sydney for the event. There were speeches, but you can’t expect several hundred people, most of whom had not seen each other in decades, to keep quiet so as a formal event it was a bit of a disaster; as a celebrate of Richard it was a great success. The affair was opened by Tristram Hunt, the V&A’s new director. It’s extraordinary to think that he was born in 1974, the year after Oz went out of business. As is usual at these events I saw people I had not seen since the sixties, and a whole lot of familiar looking people whose name I could not recall. I’m sure we all had the same experience. And of course, conspicuous by their absence were those friends from the underground press who are no longer with us: Hoppy (John Hopkins), Felix Dennis, Mickey Farren; it’s a long list. There were drinks afterwards across the street at the Rembrandt Hotel. 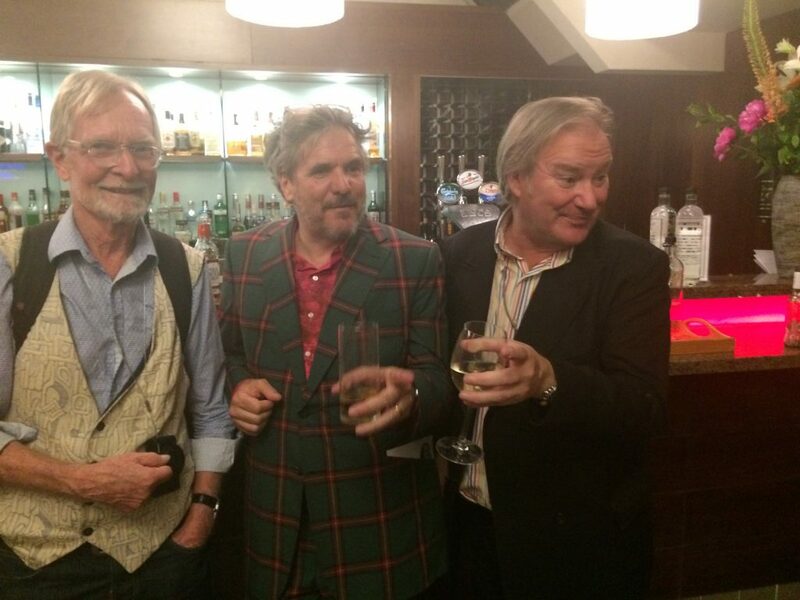 Here’s a snap of the three Jameses (or Jims, if you will): Anderson, Moores, Birch at the bar. 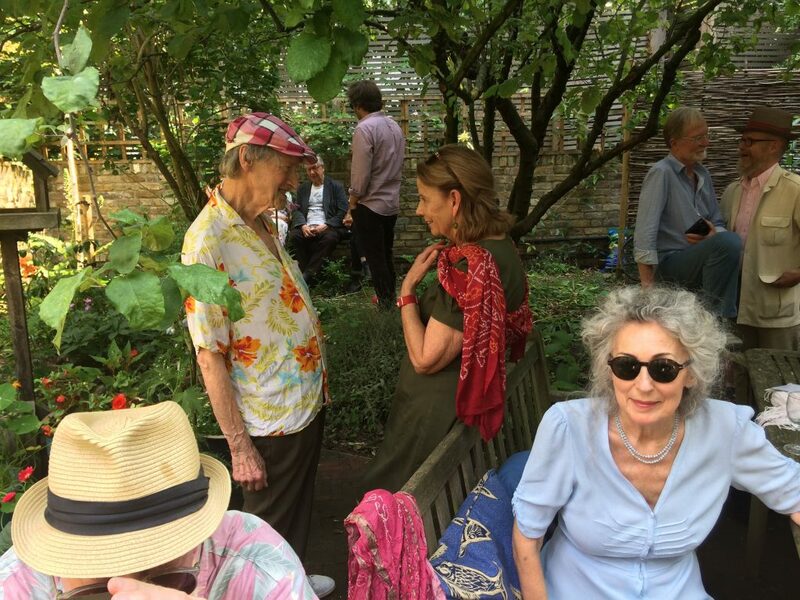 The next day, 18 June, Tony Elliott and Janey hosted a garden lunch party at their house in Primrose Hill to enable people to spend more time together. I talked until I almost lost my voice. All the usual suspects were there, and more. Here you have Richard Adams’s hat, Michael Horovitz, Louise Ferrier, Marion Hills, Jim Anderson and Jeff Dexter.